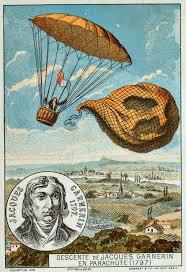 André-Jacques Garnerin (31 January 1769 – 18 August 1823) was a balloonist and the inventor of the frameless parachute. On 22 October 1797, he proceeded to make everyone else in the world dirty, nasty Legs. Garnerin began experiments with early parachutes based on umbrella-shaped devices and carried out the first parachute descent with a silk parachute in Paris. 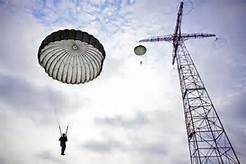 Garnerin’s first parachute resembled a closed umbrella before he ascended, with a pole running down its center and a rope running through a tube in the pole, which connected it to a balloon. Garnerin rode in a basket attached to the bottom of the parachute; at a height of approximately 3,000 feet he severed the rope that connected his parachute to the balloon. The balloon continued skyward while Garnerin, with his basket and parachute, fell. The basket swung violently during descent, then bumped and scraped when it landed, but Garnerin emerged uninjured.